Our professional West Hampstead carpet cleaning packages are second to none in the local area, offering an exceptional service at a competitive local price. With state-of-the-art equipment and commercial cleaning products, our carpet cleaners at Carpet Cleaning West Hampstead can have your floors looking their best quickly and efficiently. No stain or mark is too much for our team who will have your carpet clean and fresh in no time at all. Our rug cleaning team are also fully prepared to take care of all of your mats, sheepskins and runners to ensure that all of your floors are left stain and dust-free. 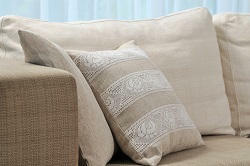 While you may think that your sofas, carpets or rugs are beyond repair, our upholstery cleaners may think differently. With years of experience and an array of specialist products, our NW6 upholstery cleaning team may be able to save you some much needed money. Known for working miracles on stained and faded fabrics, our upholstery clean team can breathe life into your old furniture leaving it look magically clean and as good as new. Our sofa cleaning team are also experts at updating all sorts of leather, fabric and suede materials, taking the utmost care to return your chairs in a pristine condition. Our Carpet Cleaning West Hampstead NW6 end of tenancy cleaners are a skilled team of professional workers who are experienced at deep-cleaning houses in preparation for a move. Happy to work around your busy moving schedule, our end of tenancy cleaning team can help you to get your bond back without any trouble or strife. Dusting, vacuuming, scrubbing and mopping are second nature to our elite end of lease cleaning team, who will always ensure that everything is carried out with the utmost attention to detail. Our move out cleaning packages will also never be beaten on price and are always available at short notice on 020 8434 7139. While many people may think that hiring a West Hampstead domestic cleaning service is a waste of time and money, it can often be the most effective way of keeping your house maintained. With us, there is no need for you to waste your valuable time scrubbing mould or grime, as our excellent domestic cleaners are on hand to help. With industrial-strength products and years of on the job experience, our home cleaners are experts at what they do. Transforming your bathroom tiles and kitchen floors in just a matter of minutes, you can be rest assured that our home cleaning service won’t cost you a fortune. If you find it difficult to keep your house clean then why don’t you call us on 020 8434 7139 for a quote today. With a great range of packages that can be tailored to meet your needs, you are sure to find the perfect service that you’ve been looking for. So whether you need a little assistance with the dishes or a lot of additional help with the rest then our NW6 house cleaners are ready and waiting to help. Our West Hampstead house cleaning team are experienced at working in all sorts of properties and will never let you down. So if you want to use a friendly and professional home cleaning firm check out our offers today. Our cleaning company Carpet Cleaning West Hampstead is known for being one of the most reliable and professional in the local area and has a huge team of specialist office cleaners. Trained to be almost invisible within the workplace, our NW6 commercial cleaners will never behave in an unprofessional manner and will only ever act in the best interests of your company. With our office cleaning team, we guarantee that your confidentiality will never be breached and that your office will always be taken care of by fully-trained and experienced workers. So whether you have an office, factory, shop or community premises, our commercial cleaning package is sure to give you exactly what you need, so hurry up to contact us on 020 8434 7139. 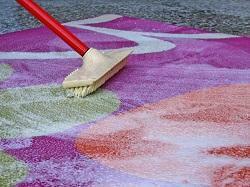 You can count on us to provide quality carpet cleaning services at cost-effective prices in West Hampstead, NW6. Call us today on 020 8434 7139! I am really glad to have come across the services of End of Tenancy Cleaning West HampsteadWest Hampstead. They have been handling the weekly cleaning of a number of apartments that I own. Being a landlord, I also provide regular cleaning service to my tenants as part of the rental. I've never had any complaints from the tenants with regards to the cleaning of the apartments. 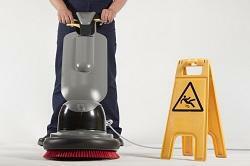 The cleaners are extremely punctual, reliable and professional. Great work! I wasn't getting any younger and I had a lot of precious belongings and old pieces that needed cleaning regularly. My son passed on the number of Upholstery Cleaning West Hampstead so I called them and booked a meeting. I wanted my house cleaned weekly as I couldn't manage it anymore. The cleaners did a marvellous job for the money and really took great care with the polishing and vacuuming. They were a lovely bunch and worked very hard. My home looked lovely when they had completed their work. West Hampstead, Brondesbury, Queen's Park, South Hampstead, Kilburn, Hampstead, Belsize Park, Frognal, Primrose Hill, Gospel Oak, Golders Green, Temple Fortune, Hampstead Garden Suburb, Chalk Farm, Cricklewood, Dollis Hill, Neasden, Harlesden, Brent Park, Church End, North Acton, Hanger Lane, Park Royal, Lisson Grove, Maida Hill, Maida Vale, Little Venice, Kensal Town, Queen's Park, Kentish Town, Dartmouth Park, Marylebone, NW6, NW3, NW11, NW10, NW8, NW2, W9, NW5, NW1, W10, W2, W11, W8, W12,W3 and the rest of London as well. Description: Treat yourself to the best award-winning carpet cleaning service in West Hampstead, NW6. Reserve your appointment now on 020 8434 7139 for a free consultation! Copyright © 2015 Carpet Cleaning West Hampstead. All rights reserved.